Shelves and Cabinets Below provide lots of storage for your clothing items. The open shelves allow quick visual check to see where your item is. 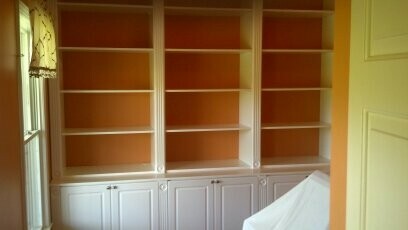 Installed by Just Closets in Winchester, Virginia.